Residents of Preston Apartments and 2 Secord Avenue have access to a wide range of recreational activities at Secord Community Centre. Whether jazz dance for children, yoga for adults or the culinary arts, Secord Community Centre has programs and facilities for everyone. The Secord Community Centre (91 Barrington Avenue) is located in the Crescent Town neighbourhood at the corner Secord Avenue and Barrington Avenue. It gives residents the opportunity to try something new or develop old skills. The majority of the all-season programs are completely free, so it's easy to register as an individual or family to explore new interests and hobbies. As most parents know, children are notorious busybodies full of energy. The Centre offers six dance programs for children to blow off stream while they tap into their inner creativity. Children between the ages of 6 and 12 can learn proper ballet techniques, energetic hip-hop moves or the subtleties of jazz dance. The Centre also offers salsa and breakdance programs specifically for youth ages 13 - 24. Registration begins as early as September and many courses run as late as February. From January to March, adults 16 years and older can try their hand at martial arts. Aikido, advanced Aikido and female self-defense teach participants basic and advanced skills in martial arts. These programs are also offered for children. 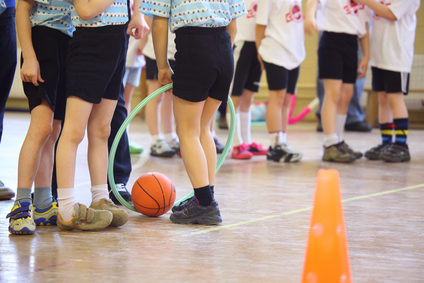 Children can also participate in traditional sports like floor hockey, basketball and soccer. They can even experience aspects of all three in the Sports Pack program where essential skills are incorporated into a variety of games. All of these activities are practical ways to stay in shape while having fun with family or friends. Adults may want to try their hand at yoga and pilates. Participants can also combine cardio workouts with dances to strengthen rhythm, burn calories and build muscle, all to the tune of culture inspired music. Almost all of these activities can be combined into one experience in the Adventure, Extended and Activity Camps for children ages 6 - 12 years. Campers are introduced to a wide range of activities from workshops, sports and local field trips. These programs are perfect especially between the months of June and late August when children are on summer vacation. Each of these programs are taught by qualified instructors carefully chosen by Parks, Forestry and Recreation and overseen by the City of Toronto. It's an unparalleled convenience to have such a wide variety of activities all under one roof, only minutes from 2 Second Avenue. For more information about the programs and schedules, visit Secord Community Centre online.